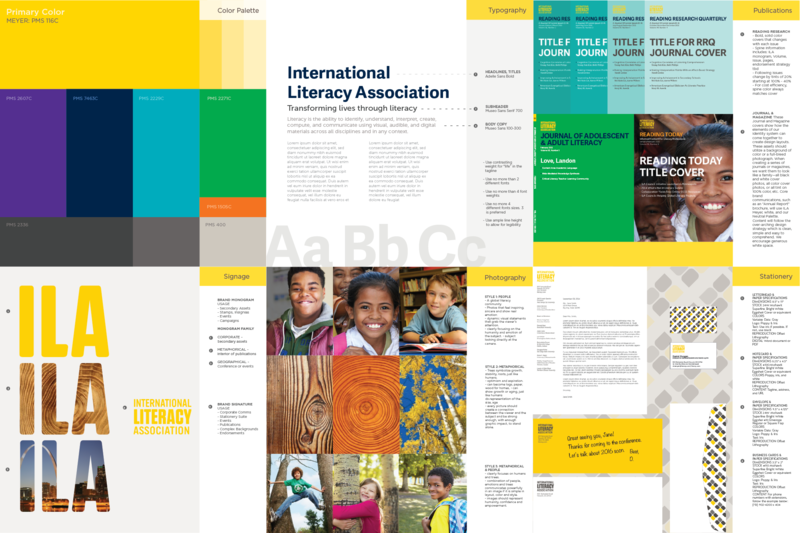 Ideon rebranded the International Literacy Association to solve for a higher purpose. The Organization—The International Reading Association, now known as The International Literacy Association (ILA), is a global advocacy and membership organization of more than 300,000 literacy educators, researchers, and experts across 86 countries. With more than 60 years of experience, ILA sets the standard for how literacy is defined, taught, and evaluated. The Challenge—To establish literacy as an urgent global cause, elevate ILA’s brand and solve for literacy around the world, recognize literacy as an urgent global challenge—and to use literacy to power 21st Century economies and transform lives, especially for people who aren’t able to read and learn. The Insight—The power of branding to leverage legacy into the bold new direction and future. While IRA was already doing noble work and renaming itself ILA, it lacked acknowledgement as a brand, powerful thought leader, and worldwide champion to solve for literacy. Conversation: Propel the focus of the brand strategy away from a technocratic internal structure common in such institutions towards a more human and global battle against illiteracy. Clarity: Confirm ILA as more than an association but as a powerful global thought leader and champion for literacy and the literacy community. Currency: Address the global rate of adult illiteracy: 84 per cent can read, but 800 million people still cannot. 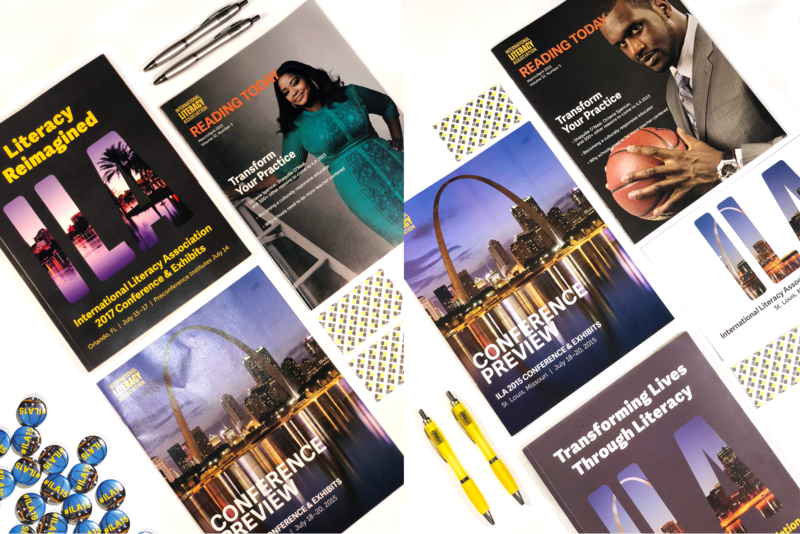 The Result—ILA’s rich history, its highly regarded publications and multiple sub- and co-brands mean it is now seen as a mix of heritage preserved and redefined as a modern, dynamic, authoritative and human brand, to fix literacy for all. The new logo and vibrant color highlights the importance of literacy. The monogram allows for flexible design applications. New brand guidelines provide detailed instructions on how to implement the brand elements, including the monogram, color palette, and graphic pattern. 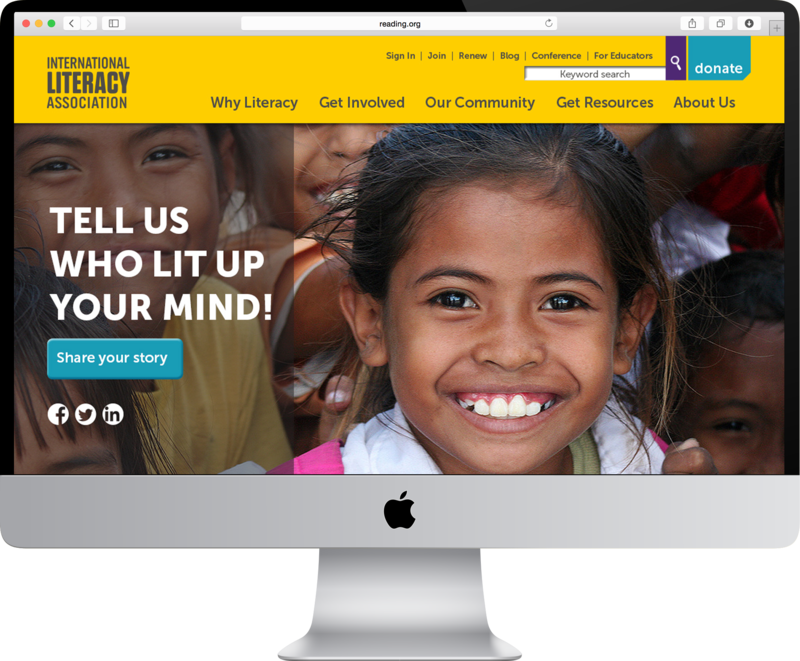 ILA's new website featured the powerful brand campaign: Light Up a Mind. 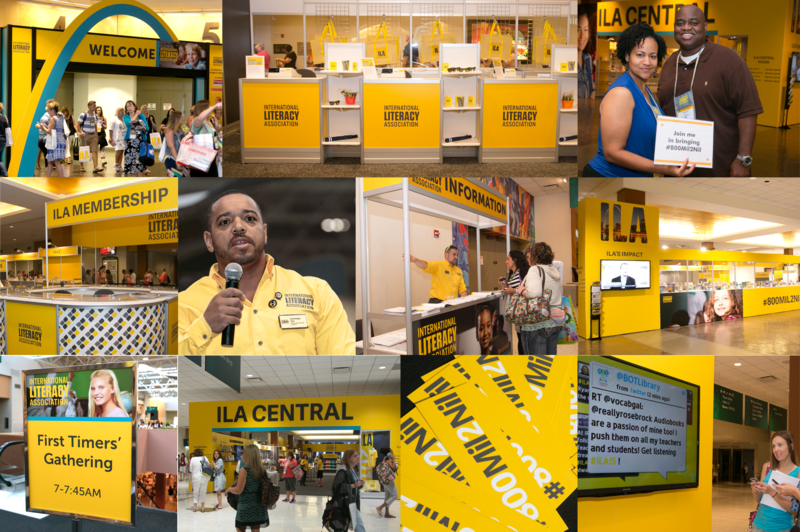 ILA introduced the bold, new brand at their 2014 annual conference. This film introduces ILA and its mandate to transform the world through literacy.